I know there are good public school teachers and good principals. My kids have had some great teachers over the years, and I have friends whom I know are fantastic teachers. 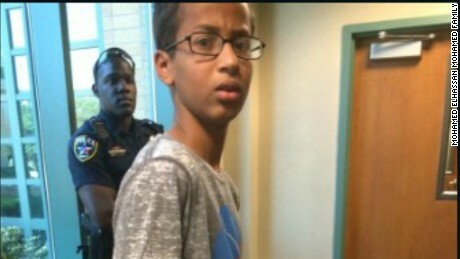 Do you think the fact that this was a Muslim boy named Ahmed instead of a freckle-faced blonde kid named “Skippy” might have made a difference? And then there are the paranoid idiots. We’ve had some of those through the years, too. My two oldest daughters, both straight-A, Advanced Placement students, were so excited that when they went to college, they no longer had to have an armed guard assigned to them in order to use the bathroom. Yeah. We call it ‘partner peeing’. Even the guards seemed to be embarrassed about it, but it was school policy because…..bathrooms. As a parent, you have to protect your kids by anticipating how idiots think. I warned my kids not to turn in any creative writing assignments that might be interpreted as violent or depressed because there’d be a teacher out there speed-dialing DSS unable to believe someone could have imagined something not real (see definition of ‘imagined’). My son wanted to wear his trench coat one day when it rained and he had to wear a suit for a presentation. I didn’t let him because I didn’t want to run into some teacher who thinks trench coats are evil (google ‘trench coat mafia’ if you don’t remember). Ditto doodling. When I was in high school, the boys used to doodle all kinds of weapons, explosives, and …ahem…anatomically correct elements on the covers of their notebooks. Now that would be a fast-track to the front office, with a paddywagon waiting. One year, the school district banned the wearing of plain white t-shirts because….gangs. (Apparently gangs with absolutely no fashion sense.) Last year they sent home threatening letters promising to suspend any kid who didn’t wear his/her school photo ID to school (and then didn’t actually issue the photo IDs for two months, and dropped the whole thing by January). There’s plenty of crazy to go around. So here we have it, a smart kid who will probably end up founding the next Apple or Microsoft or inventing a break-through artificial organ or building some kind of amazing new technology, not only arrested for building a clock, but facing a police chief who made this statement: “Chief Larry Boyd said that the teen should have been ‘forthcoming’ by going beyond the description that what he made was a clock.” (CNN). HOW, exactly, can you be forthcoming about saying a clock is a clock? Perhaps a thesaurus listing of synonyms? We need not only more money to hire better teachers and retain good teachers, but also a shift in our culture to value smart people instead of seeing them as someone to be mocked or frightened of. I hope this kid and his parents sue the school and the cops and win a big enough settlement to send him to the best engineering schools in the country. And they’d better get that ‘arrest’ expunged from his record while they’re at it. Gail Z. Martin is a novelist who writes thrilling fantasy and science fiction adventures. 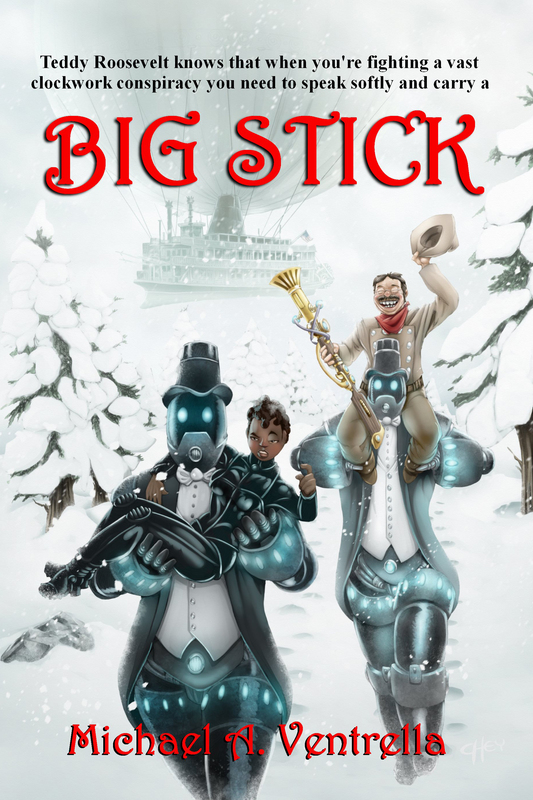 Her latest novel is the steampunk adventure “Iron Blood.” Read my recent interview with her here! By wanting to know what I was talking about, I have disqualified myself from ever being considered a Republican. I guess that’s a good thing, really. You see, when Obama announced the deal with Iran, I started reading articles about it to see exactly what it said. I went on my Facebook page and asked for advice from those who follow these things closer, and otherwise tried to educate myself before making an opinion. Not so the Republican party, whose motto is “If Obama is for it, we’re against it.” As soon as the 100-page treaty was announced, Marco Rubio had a commercial denouncing it for “allowing Iran to build a nuclear bomb.” From what I have read, it does the exact opposite, but hey, when have facts ever stood in the way of a good Republican rant? 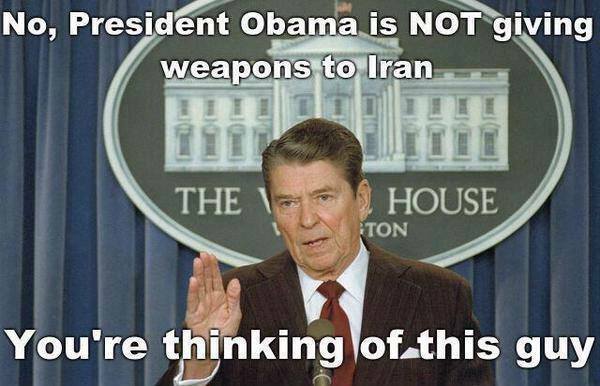 Before the treaty, there was a policy of cutting Iran off from all trade. We had a lot of other countries working with us as well. The policy worked, because it got them to the negotiating table. The new treaty reinstates trade (good for business) and allows us to investigate and make sure they’re not building bombs (something we didn’t have the power to do before). Now, did we get everything we wanted? No, of course not. That’s how negotiations work. That’s how treaties with other countries work. You get as much as you can, and it’s better to get 50% of what you want than 0% any day. But that’s not how the GOP sees it: In their mind, it’s far better to go to war. (It’s also more profitable to the industries that bankroll the GOP.) And whatever is in the treaty doesn’t matter, because they’re against it, especially because they haven’t read it and think it does things it doesn’t do (“Don’t confuse my opinion with facts!”). Keep in mind that the real reason they’re against it is because it was a treaty from Obama, who may have finally earned his Nobel Peace Prize. Had a Republican President made the exact same treaty, he’d be a great hero, like Nixon opening relationships with China. While I agree with the criticism of Obama that says he should have gone to France, it’s not because Fox News is telling me I should be thinking that way. 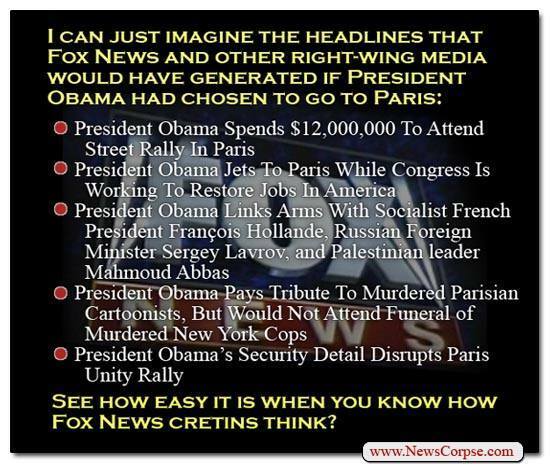 As anyone with a brain should realize, Fox News would be criticizing Obama no matter what he did. This meme I found this morning says it best. Lower gas prices? Thanks, Obama! Facts, however, have never stood in the way of Fox News, which has to spin every story to make Obama look bad, no matter how good the news really is. When gas prices were high, they were ruining the economy and it was Obama’s fault. Now that they’re low, they’re going to cost human lives and it’s Obama’s fault. Despite every single prediction Fox News made about Obama, the United States economy is stronger than it has been in many, many years. Unemployment is at its lowest, growth is higher than it was under Reagan, the Dow is at an all-time record high, and consumer confidence is at a peak. If a Republican were in office now, they would be naming airports after him and trying to put him on Mount Rushmore. Obama worst President since WW2? 1. Whoever is President at the time wins this. When this poll was done in 2006. George W. Bush won it. It’s kind of expected and comes with the territory; the current President is always the worst, and then the longer they are away from office, the better they get. We Americans have short memories. 3. Many of the respondents who took the poll were not even alive when some of these guys were President. Nixon? That’s ancient history to them. 4. 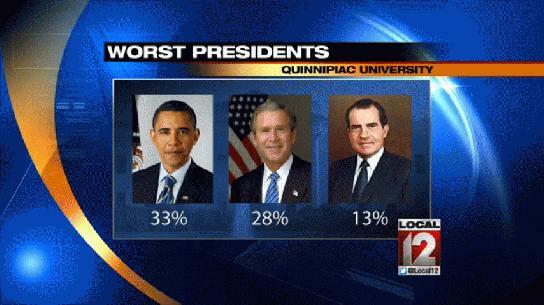 Obama was rated 4th best President in the exact same poll, after Reagan, Clinton and Kennedy. (Hey, remember when this poll was done in the 90s and Clinton was the worst President ever?) 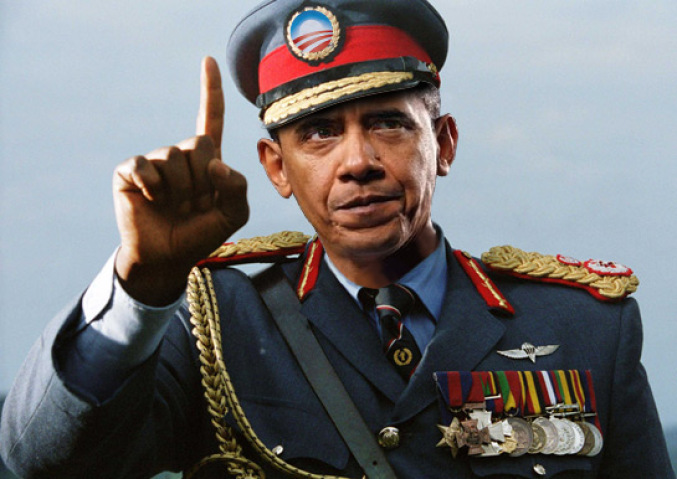 So Obama is not only the worst President since FDR, but he’s also better than eight others. Go figure. 5. 64% of Republicans named Obama in this poll. Democrats and independents were more varied, and their numbers were not even half of the Republican number combined for Obama. The Republican hatred of Obama skewed the poll. 6. The respondents are not a true random sampling. It has more people from the South than any other region (and not proportionate to the population), and more white respondents than are represented in America overall. 7. According to Gallup (a more reliable pollster), Obama is doing better than George W. Bush was at this same point in his Presidency. And Obama is doing way better in the polls than Congress, and better than most of the possible 2016 Republican candidates. No one likes any politician right now. Now, does that mean Obama is sitting pretty? No, of course not. His poll numbers are not good. But worst since WWII? How much is a POW worth? You’d think everyone would be celebrating the return of a POW from captivity. Certainly the Republicans (who always claim to “support our troops”) would be in favor of this, right? And at first they were. They even urged Obama to do it. Then reality set in: If we celebrate this, that means Obama wins! Republicans have now deleted tweets and comments made in support of this, and have gone full force into attack mode. And some of it has gotten rather ridiculous. 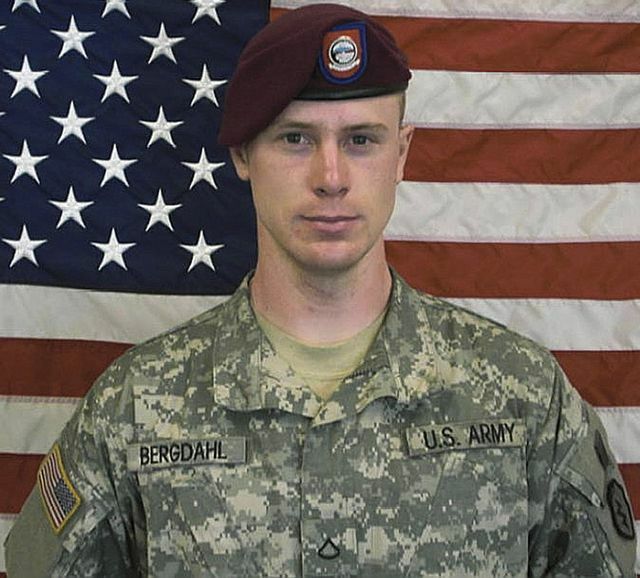 They’ve attacked the reputation of Bergdahl at every opportunity, using innuendo and speculation and ignoring real facts. They’ve accused Obama of negotiating with terrorists (when actually the deal was made by Qatar, not us) while conveniently forgetting how their hero Ronald Reagan did the same thing (which caused the “Iran/Contra scandal where people actually went to jail). Bush officials have said that they would have done the same thing. The alleged terrorists had been sitting in Gitmo for years without ever being charged with anything, despite court orders to do so, and will be released to Qatar where their travel will be severely limited. Critics are now saying that the release of Berdahl wasn’t worth it. Really? What price do we put on a POW’s life? So what’s the truth? I don’t know; I don’t have access to the information the President has, and neither do any of his critics. Will this turn out to be a bad thing in the long run? Maybe. But we should not really be surprised by this reaction from the President’s enemies. Half of them didn’t even want to give him credit for killing bin Laden, either.